Are you thinking about taking out a loan? It would be wise to figure out your monthly payment and total interest charges before jumping into such a lengthy financial commitment. Luckily, this calculator has you covered. First enter the loan principal, as well as the interest rate and loan term in years. Then indicate how many payments are required each year. Click on CALCULATE and you’ll see amounts for your monthly payment and total interest charges. At some time or another, you may find yourself in need of some extra money. A personal loan may be an excellent solution for you. Before you decide to take out a personal loan, however, there are some things you should consider. Just one of the types of loans that you can get, personal loans are unsecured. This means that you don't have to put up any collateral to get the loan. If you don't repay the loan, the bank can't take a valuable asset from you. This doesn't mean that the bank can't take other collective action against you. Because a personal loan is unsecured, it is more difficult to get. If you have poor credit, this may not be a good option for you. Personal loans are for a fixed amount of money. You need to know how much you are going to ask for before you even start the process of applying for a loan. Personal loans are not revolving credit, like credit cards, where you can pay down a balance and borrow more. The better your credit, the more you will be allowed to borrow. Personal loans have fixed interest rates. Although the interest rates may seem initially higher than loans with variable interest rates, the payment is fixed and will never change. This allows you to make a budget before you borrow and figure out how much you can afford. 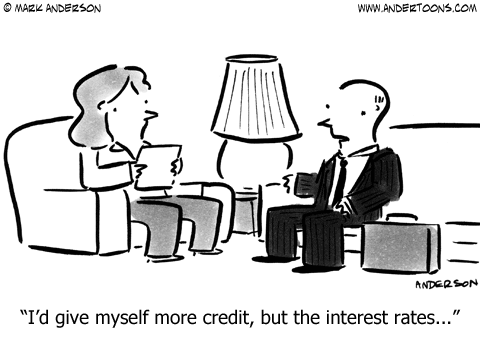 The better your credit, the lower your interest rate will be. There are a fixed number of months for repayment of your personal loan. Generally, the interest rate will be lower if you have a shorter repayment period. The longer the repayment period, the lower your payments will be. However, the longer the repayment period, the more interest you'll end up paying. Personal loans are used by anyone who needs cash quickly. Unexpected bills such as car repairs, medical bills, or moving costs are one reason why people seek out personal loans. People also use personal loans for education tuition or training expenses. Major purchases or expenses can also be a reason for applying for a personal loan. Buying a car or boat with a personal loan may have a better interest rate than what is offered through the financing company. Expenses such as a wedding or a vacation can also be covered with a personal loan. Debt consolidation is another popular reason for seeking a personal loan. Paying off all of your higher interest rate credit cards and having only one payment every month makes budgeting much easier. However, this only works if you stop using your credit cards until the personal loan is paid off. Probably the two biggest uses for personal loans are for home improvements and business. It can be difficult for entrepreneurs to get loans from banks to start new businesses. Banks frequently want revenue numbers before giving loans, which new businesses aren't likely to have. Many new business owners are relying on their personal credit to jumpstart their business ventures. Check your credit report. This is important so that you know your credit score before you apply for a loan. It's also important to check your credit report for any inaccuracies so that you can get them fixed. You can check your credit report for free once a year at www.annualcreditreport.com. Make sure that you compare different lenders' offers. The easiest way to do this is online. There are sites where you can put in your information and you will get quotes in a matter of minutes. You are not obligated to take any of the offers, but it gives you an idea of how much you can borrow and at what interest rate. It's much easier to do this than to physically go to as many places and apply. Once you have some comparisons to work with, go to the bank at which you have accounts. Since you already have a relationship with them, they may be able to offer you a better deal. Do the same with your credit card company. Some credit card companies offer personal loans to their card holders at low-interest rates. Also check your local credit union. Since credit unions are non-profit organizations, they often have lower interest rates than standard banks do. Some banks charge processing or origination charges for setting up your loan. This fee is generally a percentage of what you borrow and depends on your credit rating. Typical origination charges range from 1 to 5 percent of your loan amount. Make sure that you ask about all fees up front. There are, of course, fees for making a late payment or skipping a payment altogether. Some loans also charge a penalty for paying off your loan early since, by doing so, they are losing the interest that you would pay on the loan. Make sure that you ask about all potential fees before agreeing to the loan. Just like interest rates, lenders vary on the fees they charge. Make sure to do comparisons so that you are getting the best deal. Be realistic about the monthly payment that you can afford. Failure to make your payments will hurt your credit and your chances of securing another loan in the future. Once you've figured out how much you can comfortably afford, find a loan that allows for that payment and also allows you to pay off the loan as quickly as possible. Look for a loan that does not charge a penalty for paying off the loan early. This way, if you find that you can pay more on certain months, you can pay off your loan even sooner without worrying about paying fees for doing so. Your goal is to get rid of your loan. Make sure that you are clear on the documents that your lender requires. Loans are frequently rejected due to incomplete applications. Other loans are given a higher interest rate due to the lender having an incomplete financial portfolio. Make sure that you have access to all of your financial records and that you are communicating with your lender to provide any and all documents that your lender requires. Staying on top of the information that your lender needs to understand your finances may make the difference between being approved or rejected for your personal loan. If you decide that a personal loan is not for you or if you get turned down for a personal loan, there are some alternatives, although the alternatives generally involve borrowing against something that you already have. The disadvantage of this is that if you are unable to pay back the loan, your investment or valuable is in jeopardy. If you have a fixed deposit in the bank, you can borrow up to 90 percent of the fixed deposit at 1 percent above the interest rate of the fixed deposit. You have until the fixed deposit matures to repay the loan. Loans against gold are loans that banks and other companies are giving against gold valuables like jewelry, coins, and gold bars. You can get a loan up to 80 percent of the value of your gold. The interest rates vary, with some being as high as personal loans. Loans against gold are one of the quickest ways to get money. You can also get a loan against any property that you own. Banks are willing to loan between 60 and 80 percent of the property value. Loans against property tend to be good if you have a need for a larger loan. Some employers offer personal loans at low-interest rates to employees, especially if employees have been with the company for a long time. Some companies also offer help during times of hardship. Ask your human resources department or your supervisor. The worst that can happen is they'll say no. Another quick way to get money is by taking out a loan against an insurance policy. If you have a life insurance policy, for example, you could get up to 90 percent of the surrender value of the policy. The loan can be repaid at any time during the term of the policy. Loans can also be taken out against securities, stocks, and/or bonds. With the volatile stock market, banks vary on the type of investments they will loan against and you won't be able to borrow as high of a percentage of your investment as you will borrowing against other collateral. Whether you choose to pursue a personal loan or an alternative, money is available. Compare different offers, look for hidden costs, and know what you're getting into. Don't borrow more than you can afford and make sure that your lender has a complete picture of your financial portfolio. Once you've borrowed the money, go out and do whatever it is that will make your life more complete.